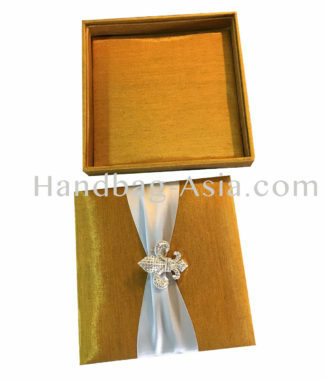 The original Thai silk invitation box. 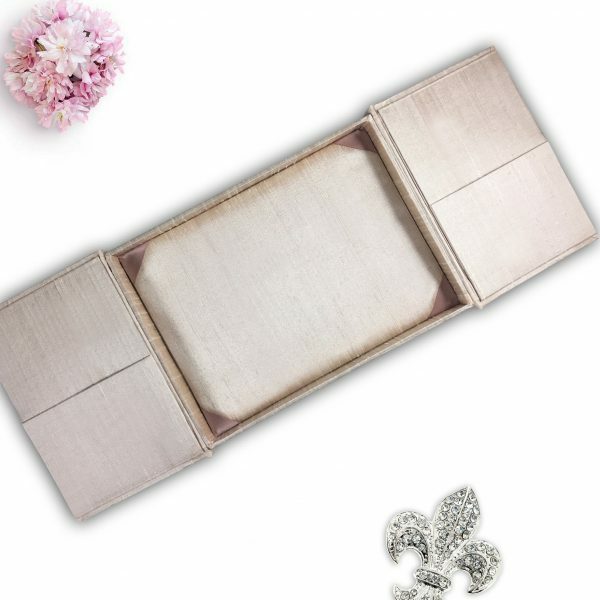 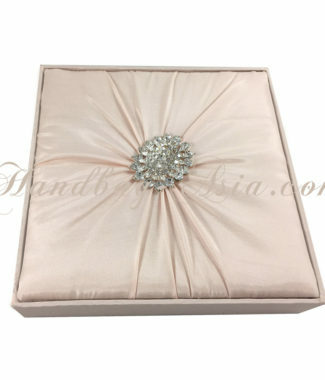 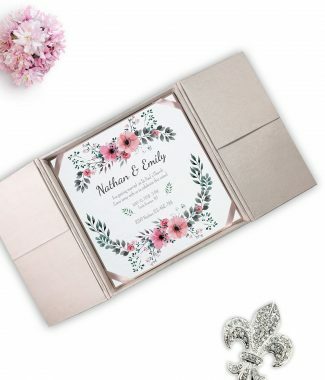 Beautiful blush pink rectangle shaped gatefold box with padding on the inside an outside and stylish gold plated brooch. 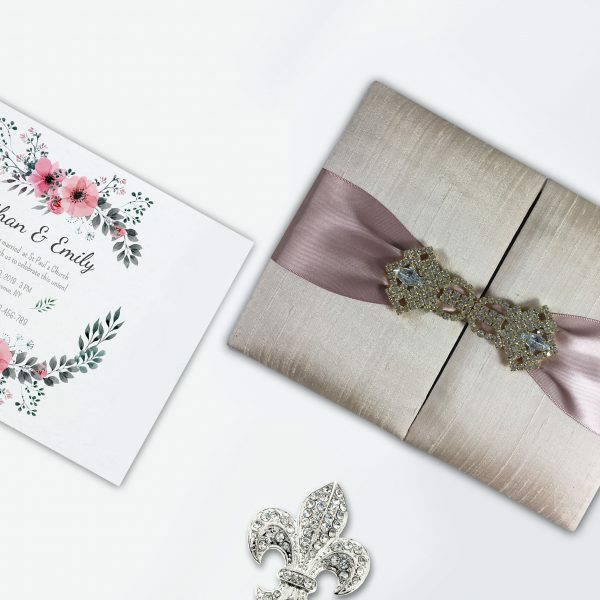 This luxury invitation box will fulfil your dream of a extraordinary and unique invitation design. 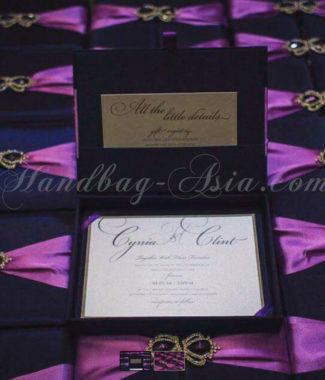 We offer this invitation box in all sizes and colors.